Where the learning begins! Click above to see link to Delphi Community Elementary School and Camden Early Childhood Center. Memories abound at Delphi's unique high school! Find the high school’s website by clicking the image above. Please keep our kids safe!!!! The amber lights on the buses mean to slow down and stop! Please check out the video below and on the Transportation tab above for important information. We are proud of our FFA chapter as they represented our school at the national FFA convention in Indianapolis recently. Our chapter was chosen to restore an antique tractor and was able to present it to John Deere in honor of their 75 years of FFA sponsorship! Check out WLFI's story on our solar project by clicking here. Our solar panel project is all finished and online! I am proud to be the superintendent of this outstanding school corporation. We have great students and parents. Our students are excelling in the classroom and in extracurricular activities. Our outstanding staff goes above and beyond to reach every student who walks through our doors. We're excited about our success, yet will continue to work hard to make Delphi Community School Corporation one of the best school districts in Central Indiana. One emphasis of Delphi Community School Corporation is to develop a well-rounded student. Our goal is to develop not only students who will score well on a state test, but are also successful in school and most importantly, in life. Our teachers are building confidence, social skills, work ethic and many other attributes that are not measured on state tests, in addition to integrating Project-Based Learning and STEM Education into their classes. Educating the children and young people of our community is truly a group effort of our schools, parents and community. The strong community support is greatly appreciated and helps foster students success in many different areas. During the 2016-2017 school year, Delphi Community School Corporation earned a district-wide digital citizenship certification. This initiative helps to educate students, teachers, and parents as to the proper use of technology inside and outside of our schools. 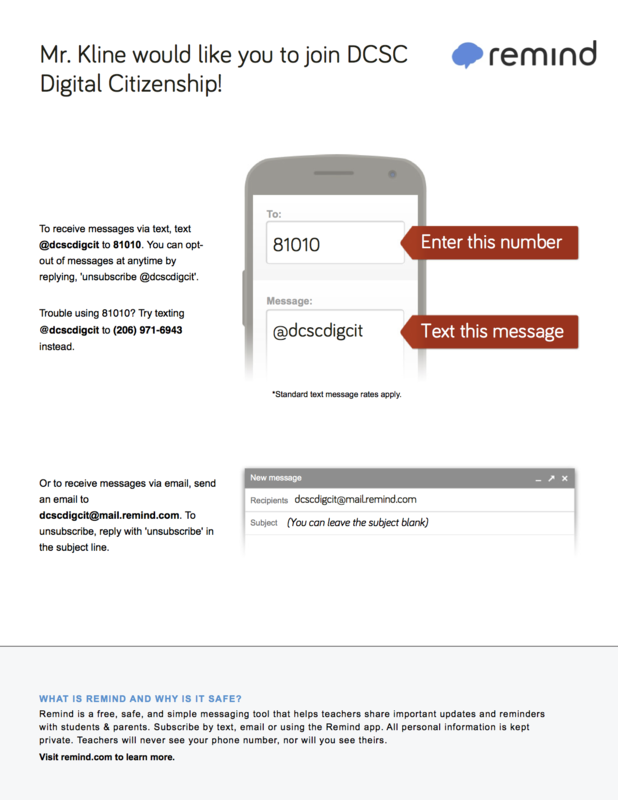 It is our hopes that parents will join us by signing up for the Remind app to receive bi-weekly messages on talking points they can use when discussing technology with their sons and daughters. Please join multiple other DCSC families by signing up at this link.